Double-sided printing - a task which requires a different approach, depending on the type of printer and the format of the file you want to print. If you are working with a new printer, or rarely had to deal with office equipment, you'll need some time to figure out how to print on both sides of the sheet, so that when reading the document looked correct, and promotional products - high quality. First of all, find out whether your printer function duplex printing. If it is, don't forget to select it in the printer dialog box, when you output a document to print. The printer will automatically turn over each sheet and prints odd and even pages of a document on both sides. For sheets landscape format, you should select the "flip on short edge". If you need to do double-sided printing on a printer that does not have the function of automatic overturn of the sheet, you need to print first one side of the paper, then turn the sheet, insert it into the printer blank side outwards (or inwards, depending on the features of the model of the printer), and then start printing the second side. If the document is multipage, it print first all odd pages of the document from one side of the sheet, and then, on the other hand, all even. Don't confuse the sequence of pages. If you are not sure how to put the sheet into the printer so that the printout was on the right side and in the right direction, experiment with unnecessary documents to avoid errors. Unfortunately, the printers are designed for office printing, no precise alignment of the two sides of the document. The offset in the coup of the sheet is typically about five millimeters. 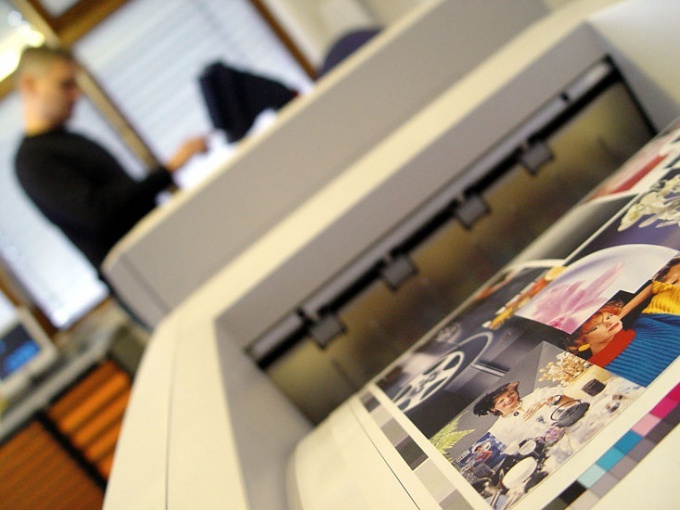 So if you need to print on an office printer duplex products advertising purposes, for example, leaflets, flyers or business cards, when you design the layout of the second hand products you should follow some rules. Namely: try to simplify the second side of the card or leaflet. Fill it with little objects and information, keep text blocks and design elements in the center, as far as possible from the edges, avoid frames and vignettes. Also better the background of the second part of your promotional materials to make plain or white. Otherwise, the inaccuracies of combining the two sides of the sheet will be too visible. When printing double-sided promotional products and handouts, it is better not to use Microsoft Office applications. Much better the quality of the layout and alignment of its sides when printing will give you a graphical editor CorelDrow. If necessary, double-sided ink-jet printer better to take a heavier paper than ordinary office, or the paint on one side can penetrate the other. If you want to print double sided photos use special photo paper.